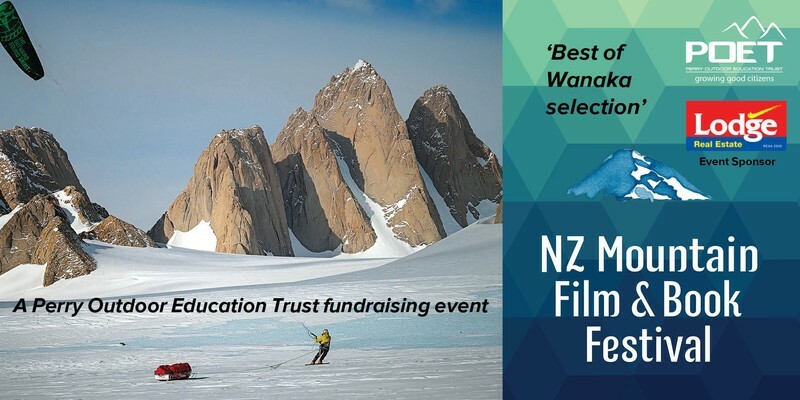 This year Perry Outdoor Education with the support of Lodge Real Estate are bring you the award winning selection of films straight from Wanaka's NZ Mountain Film Festival. Wanaka is one of the world’s major Mountain Film festivals, an internationally known event that attracts film makers from around the world. The festival theme, ‘A Celebration of Adventurous Sports and Lifestyles’, aims to show case films from the high-octane sports such as skiing, climbing, kayaking and mountain biking. It also features the more sublime but even more important environmental and mountain culture films to educate and entertain. Doors open at 6:30pm, films show at 7pm. Join us for a complimentary drink and nibbles.